Home > Uncategorized > Is it okay to buy sarees online? Should I worry? Is it okay to buy sarees online? Should I worry? Ecommerce and Online buying are trends that are here to remain now. Today, we are browsing, selecting and buying almost everything online, then why not Sarees! Ecommerce is big, and there are gazillions of players out there, making our lives easier – or difficult and complicated (depending upon what experiences you have had with this amazing world). So, why not take right decisions, choose best portals and buy our favorite stuff Online. It’s super convenient, surely saves us a lot of hassle and gives us access to an endless array of choices (which, you will have to agree – no Off-line store buying trip can give). I agree, clothes’ shopping is all about touch, feel, look etcetera etcetera….But, don’t you buy your western clothing, and even your lingerie online? Then, whey not Saree – which doesn’t even have an issue of fit and cut! In fact for this reason, Saree should top your list of stuff you can shop online without any worry. 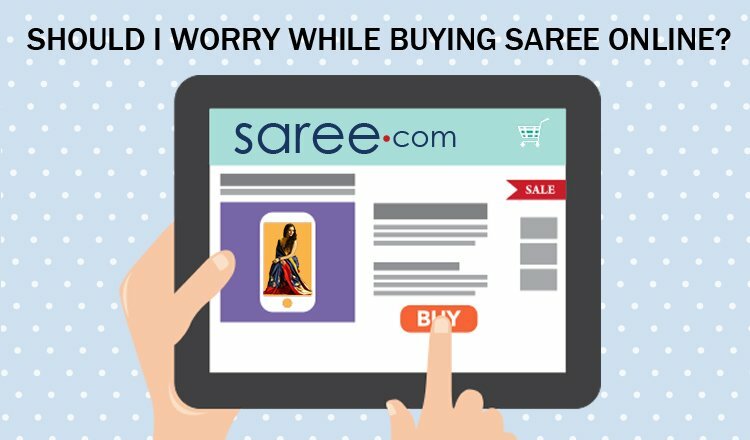 Yes, here’s your answer – it’s safe, easy, convenient and 100% viable to buy saree online. And, you can do that without any worry, if you know the platform you are buying from is authentic and specializes in sarees. 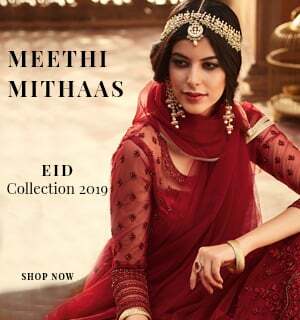 There are tons of marketplaces and websites, apparently selling sarees, but all of them may just be showcasing the sarees sourced from other retailers. 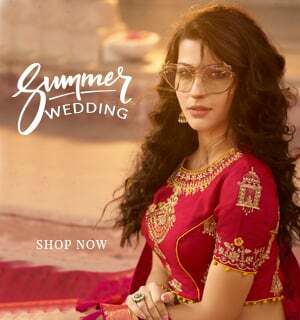 Instead of buying from these places, visit portals that are specialists in Indian wear, and have a background of manufacturing, designing and merchandising sarees, salwar kameez, lehenga choli, bridal lehenga and wedding sarees. This will ensure that you buy sarees that are high quality and fashion-forward. Depending upon what you are buying, sarees can be pretty expensive purchases, especially if you are going to invest in bridal sarees, wedding sarees and embellished sarees for special occasions. Same goes for heavy silk sarees and handloom sarees. These sarees are quite likely to be made into cheaper variants and imitations, and buying them from dubious sources will not only burn a hole in your pocket, but will also damage your experience and perception. However, do not stop buying saris online for this reason, Online medium can be of great aid, when you wish to reduce your overall time and effort in shopping, when you live away from your country (and don’t have access to designer sarees and other good sarees easily) and when you want to access a huge variety at one go. Buying sarees online, thus, is a very attractive proposition. You just need to be careful, and choose some of your favorite sources – which you can trust in terms of quality, price, designs and trends. Many good portals like Saree.com also offer customized tailoring and stitching facility of blouses with sarees and also the customization of Salwar Suits and other Indian dresses. Sarees are also finished and fall is attached. Well, this is a great relief, as these trifle little things can end up being quite irritating. Hence, buying sarees online is a wonderful option for women, who wish to save their time and effort. And, if you are buying from a good source, what you get is a ready-to-wear and fashionable sarees. Walking around the store through a screen – Visit Us from across the globe…with Video Calling!